CryptoExpert is encryption software which protects your highly sensitive data from potential prying eyes. It effectively encrypts your data so that it remains same. This program works by creating a container (or safe) which is a special area of your drive protected by a password. 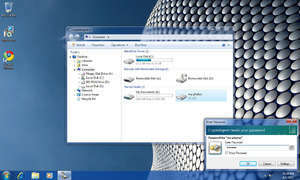 It is mounted to your system as a virtual drive where all of the files stored inside are encrypted. CryptoExpert 8.38 is a shareware program and can be used as a demo to try the software until the free trial period has ended. A full version of the program is available after the trial period ends. For security reasons, you should also check out the CryptoExpert download at LO4D.com which includes virus and malware tests. Additional screenshots of this application download may be available, too.